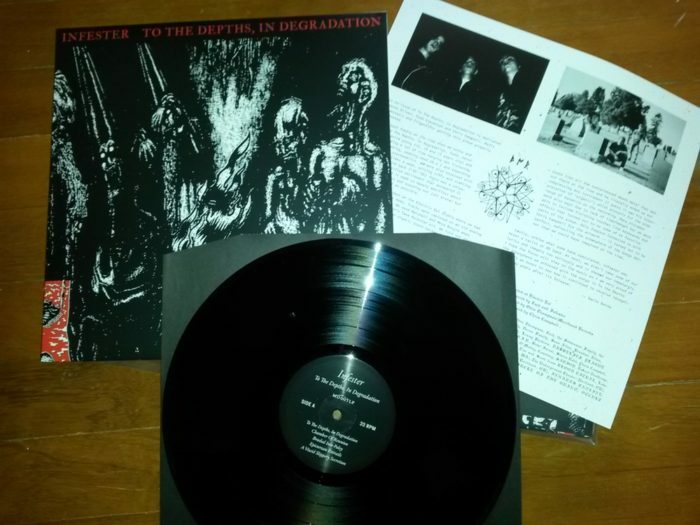 Martyrdoom Productions, run by Dead Congregation frontman A.V., reissued Infester‘s long out of print classic To the Depths, In Degradation on CD and vinyl LP earlier this year. I purchased a copy of the CD version myself to review for our readers benefit. The record was never originally released on vinyl and being over fifty minutes long, the LP reissue will have compromised sound quality due to narrower groove spacing and all the limitations of the vinyl format such as the compression of the cutting lathe, high and low pass filtering, and mono bass. 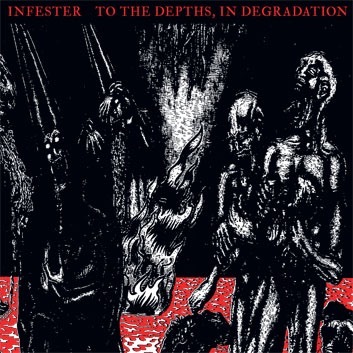 Infester‘s To The Depths, In Degradation has been finally been reissued by Martyrdoom Productions on CD and LP. Do not pay scalpers, profiteers, and fetishists hundreds of dollars for the original CD that cost ten buck a decade ago on Discogs or Ebay. Buy the reissue and case of beer and spin it until you understand it. Progress beyond a three-chord speed metal hooligan who went from playing Street Fighter and NBA Jam in pizza parlor arcades to rehash metal shows at bar grills. Wait, half the people buying this reissue from A.V. 666 are too young to remember Mortal Kombat II in the arcade and Super Nintendo. Just buy To The Depths, In Degradation, stop whining that you can’t jump up and down to Infester like a seven year old snorting pixie sticks, and listen to the record until you reach the depths of hell from a hole in the ground. Martyrdoom Productions posted more information about their long awaited reissue of Infester‘s To the Depths, In Degradation on their Facebook page this week. Hopefully the audio will be from the master tapes and not simply the original CD’s Redbook audio compressed and limited. 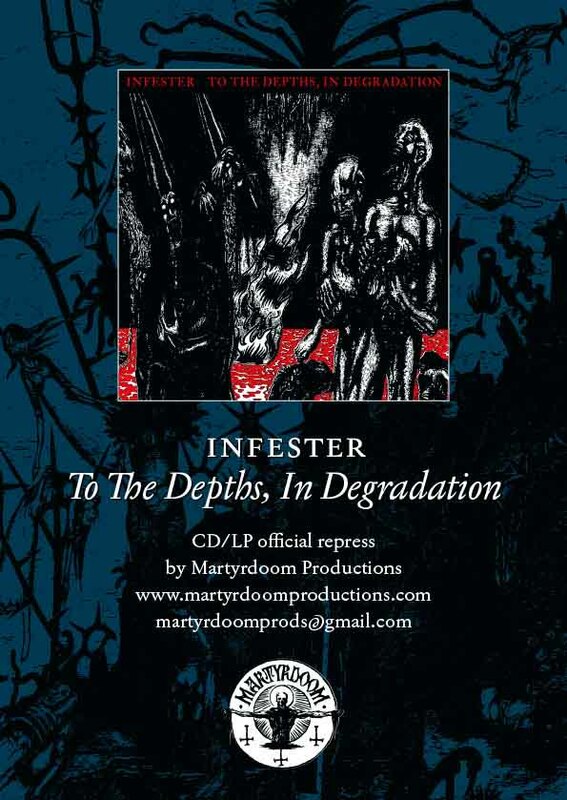 Infester‘s To the Depths, In Degradation is being reissued early next year by Martyrdoom Productions on vinyl LP and CD. The black and death metal classic has been long out of print with the original CD going for high prices on the secondary market. 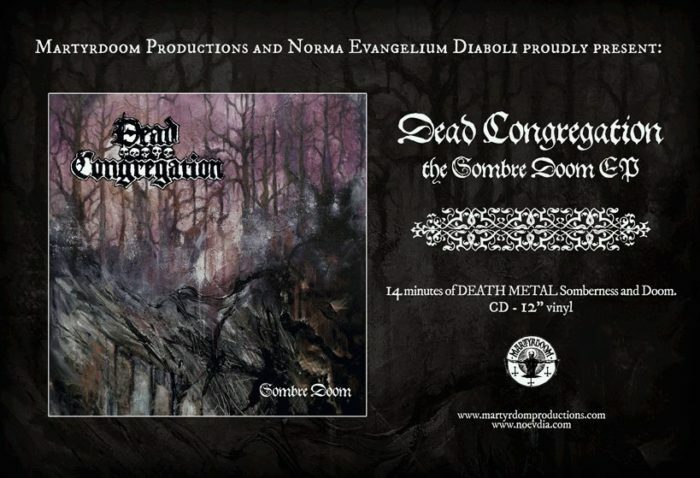 Dead Congregation have repressed their debut EP, Purifying Consecrated Ground, on frontman Anastasis Valtsanis’s own Martyrdoom Productions label in digipak CD format. The new fans the band picked up with their last album, Promulgation of the Fall, will finally have a chance to own a physical copy of the band’s most concise work.